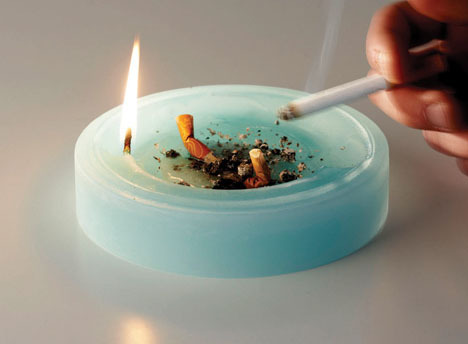 Smoking may have gone out of style, but for those smokers still puffing away (and non-smokers around them) this may be the best idea since the ash tray. 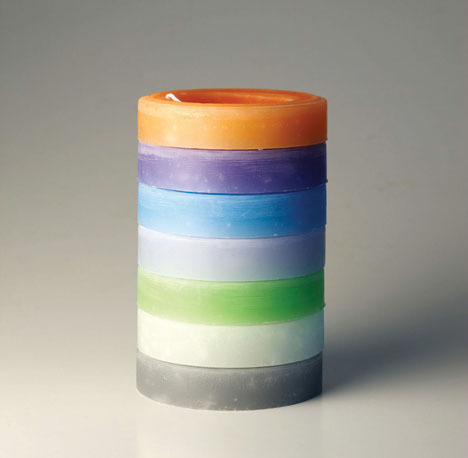 Flussocreativo did not do much to make it work: they simply shifted the wicks of candles to one side (rather than the center) within a series of candles, and created slight rim around the edge as well. 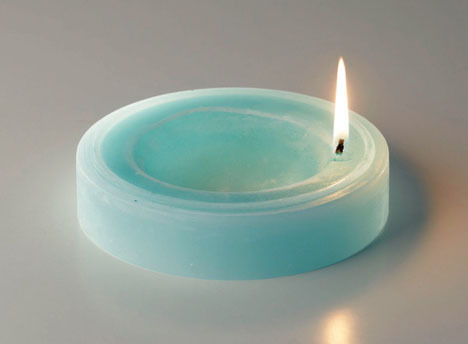 As a result, though, a pool for wax forms freely in the middle (away from the flame), where a cigarette (or cigar) can be ashed or doused entirely, putting a quick stop to remaining smoke and snuffing some residual odors as well. 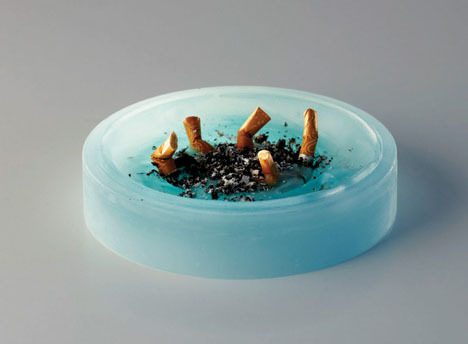 No joke intended: there is a refreshing honesty and openness to this concept – rather than burying butts in a too-fancy container that does little to block smells (only disguising them from view), these remnants are left visible, but their more noxious side effects (such as second-hand smells) are conveniently lessened.